Triton Knoll is an 857MW ‘Round 2’ offshore wind farm, owned by innogy (59%), J-Power (24%) and Kansai Electric Power (16%). innogy is building and will operate the project on behalf of the partnership. 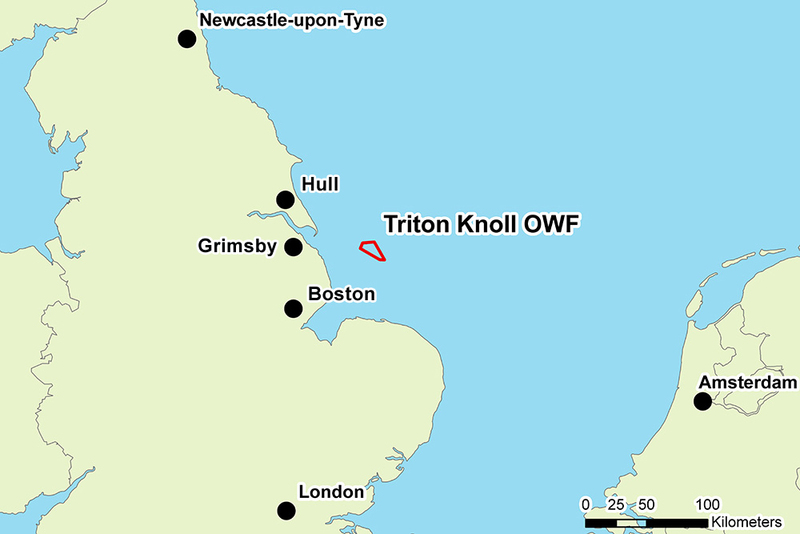 Triton Knoll is within the Greater Wash strategic area, located off the east coast of England, approximately 20 miles off the coast of Lincolnshire and 28 miles from the coast of north Norfolk. This is one of three ‘Round Two’ strategic areas around the coast of Great Britain, which were released for offshore wind development by The Crown Estate and the Government in 2003. Once constructed, offshore and onshore electrical infrastructure will connect the wind farm to the electricity network. 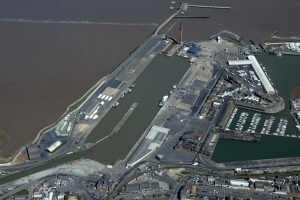 Sub-sea export cables from the offshore wind farm will make landfall just north of Anderby Creek, with the power entering the electricity network at Bicker Fen Substation, near Boston, via a network of underground cabling. At the time of the Round 2 tender process, Innogy Renewables UK Ltd (at the time called RWE npower renewables) was awarded a license to develop an offshore wind farm called Triton Knoll up to a maximum of 1,200 megawatts (MW). Triton Knoll was consented in two phases, but is being constructed and operated as one project.Triton Knoll was successfully awarded a Contract for Difference by the Department for Business, Energy & Industrial Strategy, in September 2017. It achieved Financial Close in August 2018, and onshore construction started in September 2018. 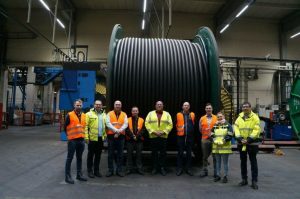 This includes the substation, underground cables, the offshore export cables and electrical compound along the onshore cable route. A Development Consent Order for the electrical system was submitted and accepted by the Planning Inspectorate in 2015. A full examination of the application has been undertaken and completed, ending on 3 March 2016. Consent for the electrical system was granted on 3 September 2016. This includes the 90 x wind turbines, meteorological masts, offshore substations and the cables that link the wind turbines to the offshore substations. The Secretary of State for Energy and Climate Change granted consent for the offshore array on 11 July 2013. It is estimated that the average annual generation expected at the site could be equivalent to the approximate domestic needs of an expected minimum of 800,000 average UK households. Energy predicted to be generated by the proposal is derived using wind speeds monitored in the local area and correlated with long term reference data. The energy capture predicted and hence derived homes equivalent figure may change as further data are gathered. Equivalent homes supplied is based on an annual electricity consumption per home of 4100 kWh. This figure is supported by recent domestic electricity consumption data available from The Digest of UK Energy Statistics and household figures from the UK National Statistics Authority.